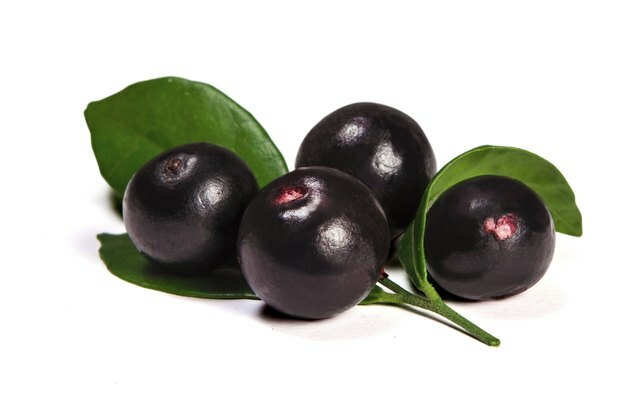 Touted by Oprah and many others as the new "wonder supplement," acai berry purports to offer a myriad of health benefits. Pronounced "ah-sigh-ee," this potent berry claims to be a veritable fountain of youth with the ability to cure cancer, prolong life, improve vision and quality of sleep, help in weight loss, and even cure warts. Google its name and almost 12 million results appear. Underneath all the hype are the facts about the nutritional qualities of the little purple berry from the Brazilian rainforest. A study by the University of Florida found that several extracts from the acai berry killed leukemia cells when applied directly to the cells for 24 hours. The study was performed in a cell-culture model and researchers caution that further studies are necessary to link this ability with the ability to cure or prevent leukemia. Other antioxidant-rich foods like grapes, mangoes and guavas showed the same ability in similar studies. A study published in the Journal of Agricultural and Food Chemistry found that antioxidants in acai berries, also known as Euterpe oleraceae, showed a significant ability to scavenge free radicals, the damaging results of normal metabolism. Antioxidants are able to neutralize free radicals and incapacitate them by donating an electron, effectively stopping their destructive abilities. The study found the acai berry to have the highest antioxidant activity of any food to date against a certain type of free radical. Because of its powerful antioxidants, acai berries help eliminate free radicals, which in turn helps reduce the risk of diseases, like heart disease and cancer. No studies have supported the claims that acai can directly prevent or cure any disease. At this point, consuming acai berries appears to have the same benefits as consuming other antioxidant-rich foods, such as blueberries and red grapes.